While most research in international trade deals with two modes of foreign sales, exports and direct investment, in reality there are several ways firms can sell abroad. Firms may hire intermediaries to help them selling abroad indirectly, export directly to counterparties abroad, set up arm's length contracts to manufacture abroad or invest directly in the foreign market. In this paper, we first extend a heterogeneous firms model and allow firms to choose among N options to serve clients abroad. Second, we allow for firms being different in several aspects of capability, and they will choose a mode based on their production efficiency and also, the quality of their goods. Using EFIGE, a rich cross section survey of firms in EU countries, we show sorting patterns across six different modes. We highlight the importance of mixed modes as well. Finally, we discuss the relevance of global value chains and the role of business groups. 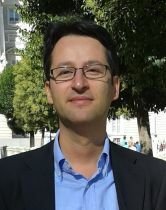 Gabor Bekes is research fellow at the Institute of Economics, Research Center for Economic and Regional Studies, Hungarian Academy of Sciences (CERS-HAS) since 2005. As a visiting professor at the Central European University in Budapest, he teaches regional science and urban economics or economic policy as well as data analysis for economic policy. He is also a MTA Bolyai research fellow.